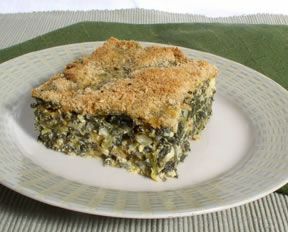 Made as a pan soufflé to serve a crowd, this savory spinach recipe makes an enjoyable dish for a brunch or luncheon event. Place prepared spinach in a medium bowl. Add flour, melted margarine, salt, and pepper. In a separate bowl, beat eggs. 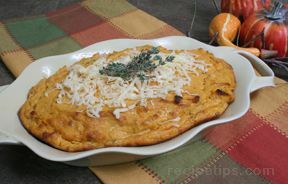 Add cottage cheese and shredded cheese and then mix well. Add spinach mixture and mix well. Pour into prepared pan and sprinkle with bread crumbs. 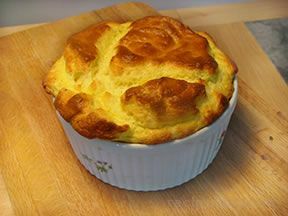 Remove from oven and allow soufflé to rest for 10 minutes before cutting. Recipe can easily be divided in half.